2014 was a year of transition, loss, and change. It was a great year for AV as well as AVNation. This episode is a combination of all the best episodes voted on by you. How did you vote? With your comments and downloads. These are the most commented on, viewed, downloaded, and shared episodes. 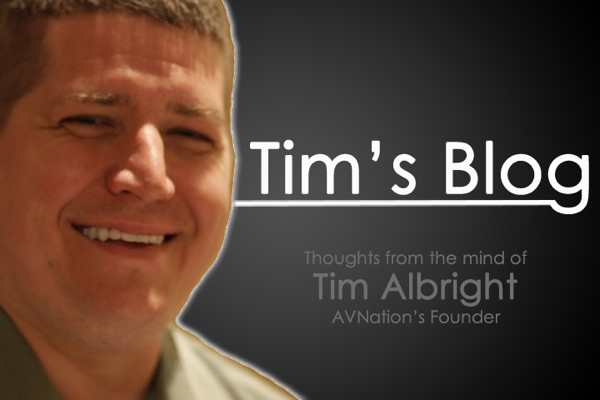 So, sit back and enjoy a recap of InfoComm 2014, AVB, Smart Technology, control systems, and the #AVSelfie Song. Samsung is buying up smart home device companies. When, and how, should you hide AV in board rooms? Plus, why one AV pro decided to “attend” InfoComm 2014 remotely using Social Media. Marshall Electronics visited with the AVNation team during InfoComm 2014. They have a new line of cameras that would be great for podcasts. Tim Albright visits the Epson booth during InfoComm 2014. Check out the upgrade to their interactive projector. Part Two of our annual InfoComm Show production. This is where we gather those in attendance at the show and ask what was the best and worst of InfoComm 2014. Listen as exhibitors talk about the record number of qualified leads, and integrators discuss the latest technology. Steve Greenblatt, host of A State of Control and owner of Control Concepts, steps into the RPVisuals booth during InfoComm 2014. George Tucker talks with the group from MultiTaction about their complete interactive display solution. Very cool and futuristic.